Hello my name is Otto a 11 week old German pointer cross puppy and I live in France with my big brother - the famous golden retriever Oscar. Oscar has always been fed on Salter’s dog food and has been happy and healthy for the past 12 years. There was a hold up with my delivery of Salters puppy food so I had to eat some French puppy food until it arrived. This didn’t agree with me and I had a runny tummy and was always hungry! However since my Salter’s Puppy arrived I have thrived. My poos are healthy, firm and non-smelly - a great relief for all concerned. I have plenty of energy, sleep well and am growing fast. 14 kilos already at 11 weeks. Keep it coming Salters! We were recommended Salters food by our local kennels many years ago with our first racing whippet. All of our dogs have been brought up on Salters for the past 16 years. Our racing whippets have energy during the racing season and maintenance over the winter and all of the retired dogs are on maintenance. The dogs do not produce much waste showing how much goodness is retained from the food. Would definitely recommend Salters food. Our dog Percy loves Salters! We would go far to say the best dry dog food around. We thank you Salters, Percy finally enjoys his meals. Just goes to show that with Salters " THE MONEY IS IN THE BAG NOT THE BANK!! Darcy is a 14.5 year old Cocker Spaniel. He was diagnosed with Colitis at an early age. Initially we struggled to find dog food that he could eat, but eventually started using Salter's Pet Maintenance, which he has thrived on. In the last two years he has been diagnosed with lumbar spondylosis, arthritis in his joints, and a heart murmur. He's also practically deaf and starting to get his old man lens. Despite all of this, the Vet is still saying they are expecting him to last another year or so. They said that if he was 10 they would give him 4-5 years, but because he is already 14, they give him another year or two. I believe that the nutritional benefits of his food is one of the reasons that he is still so healthy at his age. I have contacted Salter's a couple of times over the years and have always found Mr Salter to be quick to respond and very helpful with my enquiries. We always used Salters and after our dog had a near fatal bout of pancreatitis, we switched to the senior food which he loves and he is like a puppy again! We believe his pancreatitis was caused by an oil we gave (Vet recommended) over a period of 4 weeks. The oil was 95 per cent in fat which we had no clue of. Thanks to your food he is in perfect health and full of life. I have lived with my dogs in Aldeburgh since February 2000. When we arrived I registered all our domestic animals, one dog, a Golden Retriever called 'Sophie' and 'Tinkerbell' a lovely black and white cat, with 'Fromus Veterinary Practice'. Michael and James Hill recommended that we feed our dog on Salters Maintenance and this we did. After we had lived at Aldeburgh for about a year we bought another retriever which we called ‘Merry'. When she became a year old she too was fed Salters Maintenance. Both dogs lived until they were a few weeks short of 15 years of age and both lived a very full and healthy life. Since that time we have acquired two other 'Golden Retrievers', 'Lizzie' who is now six years old and 'Tilly' who is thirteen months old. They are both being fed 'Salters Maintenance'. 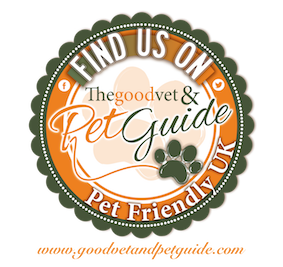 All our dogs have thrived on the food and are excellent examples of fit healthy dogs. I would always recommend any dog owner to use the 'Salters Maintenance' and when they are older the 'Salters Light'. I called up Stephen Salter a few months ago, desperate in finding a dog food that my 6 month old rescue dog would enjoy and not get an upset tummy. He sent me a few samples of the Maintenance. Ellie has just not looked back. She is happy to eat it as it is, without the need of having to add tinned food to it. (because it is a complete food) Her coat appears shinier and feels healthier and her very bad itching has virtually stopped. Yes it does cost more than other food to buy, but in the long run it works out cheaper as there's no waste. Ellie is finally enjoying her food very much. I will continue to buy this. If you are in two minds about getting this or not, I say give it a try. Your dog will love it! We have used the same dog groomer for eight years, she has recently remarked on how beautifully fit and well muscled our dogs are now, we have been feeding Salters for the last year or so with such visibly good results. I raised my 2014 litter on Salters puppy, and now they are on Salters maintenance. Last year their mother and three of the litter qualified for crufts and this year 2016 we have one qualified already for Crufts 2017. Salters is a really good quality food that I think you can trust! So I contacted a company called Salters explaining about my little dog and how fussy he is when it comes to dog food and treats and they emailed me back saying they’d send me a few samples. I was very pleased when I opened them up as they had kindly given me 2x bags of their food. As I had two bags I gave one to my Auntie for her two dogs to try and she said that they absolutely loved it and it was gone within seconds. She is also looking into making further purchases as her dogs like it that much. So then I thought let me try my dog then and I must say I was so shocked! My dog is literally one of the fussiest dogs I’ve met and he ate every scrap! I was very happy with this as every other dog food we’ve ever bought he’s hardly touched. I was so happy to see him finally eat food properly so I urge you, if you have a fussy dog, to check out their site and their products available. A switch to ‘SALTERS’ Maintenance did wonders for my old Lab and his replacement has thrived healthily on ‘SALTERS’ ever since. Has worked well for many years and I would highly recommend. Made such a difference in all my dogs! All my dogs have done extremely well, continued support and recommendation. A real winner for me. You can see the Performance and condition actually working! Used successfully for many years, and its nice to know that you’re actually feeding your dogs something that’s good for them! I now wouldn’t use anything but ‘SALTERS’ for my dogs. We have gone from strength to strength using ‘SALTERS. Never had a better conditioned dog! Used for a number of years – Great! Tried many other dog foods but there is nothing like ‘SALTERS’ for the best results. My dog had never looks so good after giving them ‘SALTERS’. Best food I have ever used and I have told everyone to use it! Continues to work well, my dogs love it! My four dogs continue to thrive on ‘SALTERS’ they are living advertisements. My youngest dog had a sensitive stomach, and the eldest was overweight, since starting them both on ‘SALTERS’ the youngest has had no problems and the eldest has lost weight, both seem more happier and lively. From the first time I used ‘SALTERS’ the difference was so noticeable I can only put it down to the food, I will be advising the new owners of my puppies to continue on ‘SALTERS’. We have stayed with ‘SALTERS’ for all our dogs since swapping, we have happy, healthy dogs, without gastric problems, no trouble with faddy eating and our puppies thrive on it. ‘SALTERS’ was recommended to me seven years ago when I picked up my first Labrador gun dog. Over the years I have been very happy with the food, the dogs thrive on it. I have been commended on the well-being and shape of my dogs. Fantastic food, ‘SALTERS’ has performed as well as they said it would! My dogs have strived on ‘SALTERS’ for many years; I would never feed them on anything else especially as one of my dogs was highly commended in the veteran section at ‘Crufts’ 2007. Dogs bowl empty in 2 minutes, he loves it and seems livelier. I have been feeding my dogs on ‘SALTERS’ for over eighteen months and have seen a vast improvement in their general heath, fitness and particularly coat condition. I would not normally get involved in advertising but I really feel that 'SALTERS' has made a difference and I would strongly recommend it.